I started modifying FF7 characters as early as in the year 2006 -2007 using the earlier versions of the Kimera program. However, the program stoped to function on my computer and as such my work from back then were never released or finished. 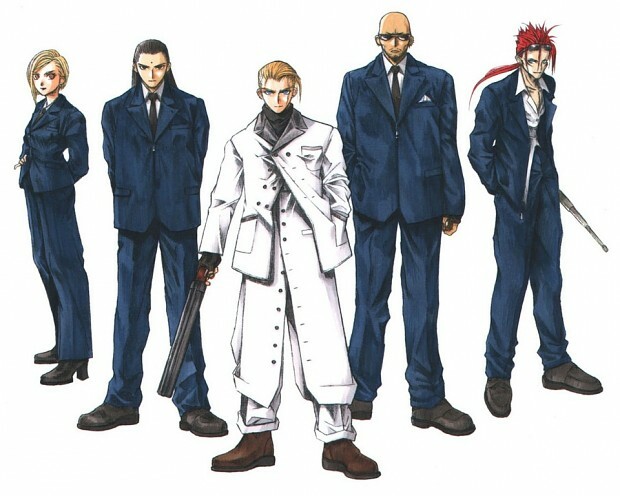 I had already tried to convert Aerith into Scarlet of the Shinra, Cloud into Rufus, Tifa into Elena, Vincent into Hojo and Barret into Dyne - some of these characters had finished models such as maybe a field-model done, but each character in the game consist of multiple models for various roles during the story - such as one model for battles, one in the field, one in the parachute scene, one in the Honney Bee Inn scene and additional models of the characters when they are kids. My skills back then weren't great, and of course the models looked fat in my eayes many years later. I got the program to run again on a new computer in 2013 but then it stoped working again. This i didn't solve until the summer of 2015 where i searched the entire internet for hours to get the correct DLL-file - i even got a virus on two of my computers and had to struggle with removing it for some days. Still - i did backup that file and since then the most recent version of Kimera is working fine. And so i decided to continue my project from 2007 when i was only 17 years old - starting with turning Aerith into Scarlet of the Shinra. Final Fantasy VII: Shinra Character Overhaul MOD V. 0.5 has not been tagged yet.